All parts are toxic. See Notes. 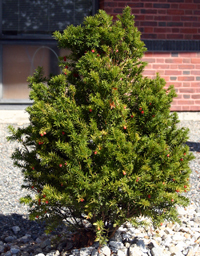 Usually seen as an ornamental shrub, but may grow as a tree up to 12.2 meters (40ft). Bark is reddish-brown and peely. Needle-like leaves are arranged in narrow spirals. Leaves are glossy, dark green. 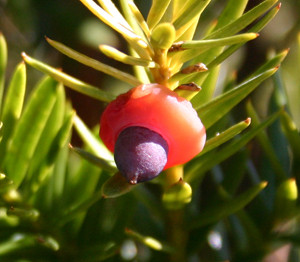 Fruits are berry-like, spherical, and red. 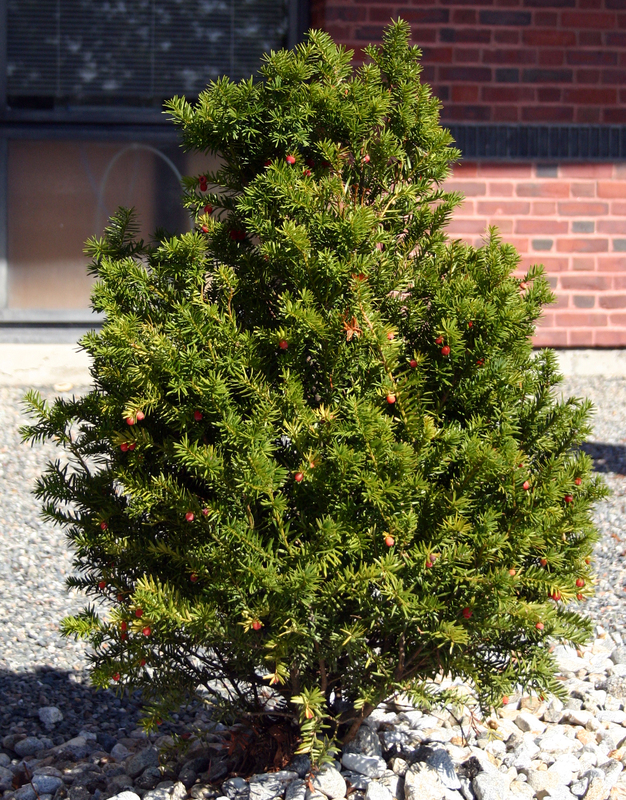 Found mostly as an ornamental hedge or bush, but may be found in the wild near old plantings. Bark and leaves contain paclitaxel, a widely marketed chemotherapy drug. 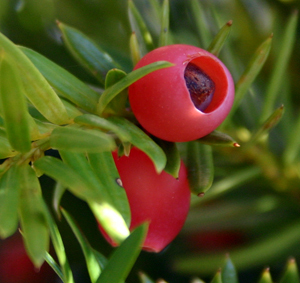 Similarly, the pitch of the English Yew was once used to treat cancer. Sales of paclitaxel exceed $1 billion every year. All parts of the English Yew are fatally toxic. 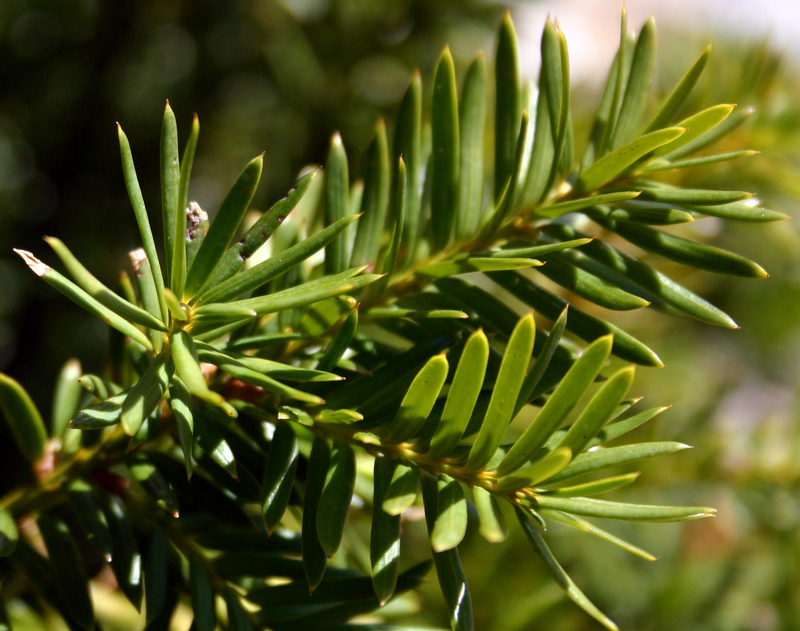 American Indians tipped fishing spears with Yew toxin.